Most of the web pages show the error like 404 page error. 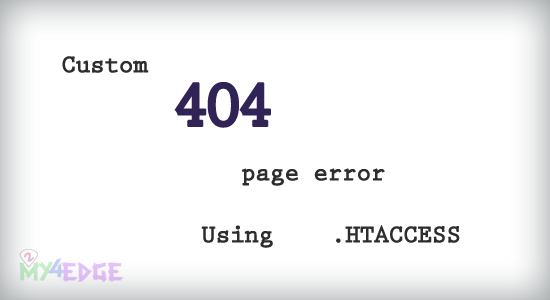 So here we have solution to make the custom web page for that 404 page error by using .HTACCESS. This 404 error make your website uneasy. So here we are using the HTACCESS file for that. As we know already we discussed here about how to make www to non-www and non-www to www using HTACCESS file. Now let see the one more thing about this HTACCESS custom 404 page error. We already discussed about meta tag for refresh in last change back ground image for each refresh. So here we are doing one more extra thing here. That will redirect you after 5 seconds for your web page what you given the url.